The Civil war in Lebanon was devastating, costing thousands of lives and completely destroying the schools that Call of Hope had originally established. Despite this setback, COH's work in Lebanon continues today. In the middle of the Bekaa Valley, the Hezbollah stronghold on the Syrian border, national co-workers are reaching Muslims with the Gospel. Thousands more refugees and disabled persons in Lebanon remain unreached. Their greatest need is to hear the good news of Jesus and experience His love demonstrated. According to the Lord Jesus, “The King will answer, 'Truly, I say to you, as you did it to one of the least of these My brothers, you did it to Me'” (Matthew 25:40). In the Hezbollah area of Lebanon, COH operates a vocational skills training, medical care, and spiritual mentorship program for the disabled. 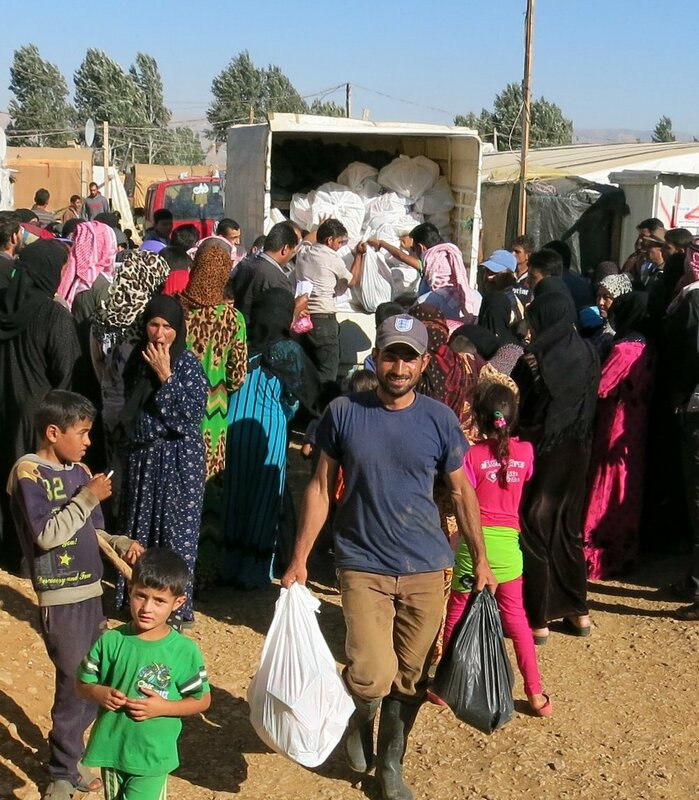 COH also currently meets the needs of hundreds of Syrian refugees in Lebanon through food, supplies, and discipleship. In the Hezbollah-controlled Bekaa Valley, COH offers a holistic program for the blind and physically disabled, providing Christian literature and Bible studies; mobility training; vocational training in cane work and computers; as well as medical assistance for more than 200 individuals with disabilities. In this conflict area on the border between Lebanon and Syria, many have lost their eyesight, legs, or hands from bombs and shrapnel. Almost all are from Muslim backgrounds. People from historically opposed Sunni, Shiite, and Druze Muslim backgrounds learn to work and worship the Lord Jesus Christ together. Their families hate and kill each other, but through the love of Christ they are empowered to love one other. More than 300 disabled former Hezbollah Muslims are cared for by COH's center. Up to 8,000 Syrian refugees daily cross the border into Lebanon. Many receive baby formula and food, diapers, firewood, diesel heating fuel, blankets, mattresses, and medicine from COH. For over a year, COH has served about 1,000 Muslim refugees each month. Thousands of evangelistic books and hundreds of Bibles were distributed. Dozens of refugees received Christ during recent months. Six Muslim-background believers were baptized despite threats against Christians. More than 350 Muslim refugee children and their parents received Christ as Lord and Savior during two recent outreaches. They also received milk, food, Bibles, and Christian books in Arabic. At the Call of Hope Center in Lebanon, blind men and women are taught brail and vocational skills. In the Hezbollah-controlled Bekaa Valley, COH offers a holistic program for the blind and physically disabled. Here we offer Christian literature and Bible studies; mobility training, as well as vocational training for the disabled. By sharing the Gospel and showing practical Christian love, COH reaches many Muslim families. Blind Muslims learn Braille using the Bible. A two-story facility was purchased where the blind and physically disabled meet for Bible studies and evangelistic outreaches. The ground floor was renovated to minister to the disabled. COH plans to expand this ministry, adding a small school for blind children and more meeting rooms on the second floor. A wheelchair lift will be installed. Christian literature, Bibles, medical assistance, and life skills training are provided. In Syria, the radical group ISIS is systematically subjecting children to indoctrination and training them to become child soldiers filled with hate. Those fortunate enough to escape war and the evil intentions of terrorists, are forced to leave their homes and flee in search of safety. This Christmas, an 80% Rise in Terrorism is Affecting Children Around the World. Many of the tragic deaths this year have included large groups of children, but even for those who have survived attacks, they are deeply affected both physically and emotionally.